Nag on the Lake: SF fire station told to get rid of their beloved cat. SF fire station told to get rid of their beloved cat. 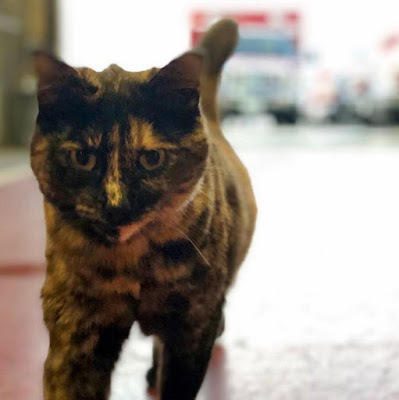 Firefighters, medics, EMTs, and staff at a San Francisco fire station are trying everything they can to keep their pet cat, Edna, after management has apparently asked them to get rid of the feline. It seems like people will complain about anything. I could tell you a story about a similar situation at my husband's firehall but I won't because the outcome was horrific. Edna looks just like our Joyce. Just let them keep their kitty! Just tell management that the cat has gone and they have signed a deal with a rodent control firm for $5,000 per annum.